Navigation: Home / Forums / 3DS / Why aren't we going to see New Super Mario Bros. 2 on Nintendo DS/DSi systems? Topic: Why aren't we going to see New Super Mario Bros. 2 on Nintendo DS/DSi systems? Hey all, I'm new to Nintendolife and I'm enjoying it more than I thought I would. Great place to get the latest on Nintendo's work. I'm a bit outraged that Nintendo has announced New Super Mario Bros. 2 on the Nintendo 3DS: Nintendo's newest released console (excluding the Wii U). As I don't have a 3DS, I feel a bit left out here with my DSi XL (bought the DSi XL shortly before the Nintendo 3DS was announced, same year the DSi XL came out. Won't be getting a 3DS anytime soon.) as we seem to have no support from Nintendo anymore other than weekly DSiWare being released on the Nintendo DSi Shop (which frankly expands to the eShop which could be the reason why developers are still bothering with releases of DSiWare). As it seems reasonable that Nintendo has turned their attention to their newest console, they're leaving others behind including us DSi/DSi XL users. Fewer Nintendo DS games are coming out while more 3DS games are being released. Reasonable, but they're not paying us any attention. Fewer Nintendo DSi updates are being released too, some that are of no value to us at all (R4 cards etc.). It seems like the Nintendo DSi will only end up like the first Nintendo DS, known as the NDS Phat, while Nintendo possibly could turn part of their attention to us DSi XL users too. Recently, New Super Mario Bros. 2 was announced at E3 with an all new trailer for the game. To be honest, I was expecting to see something similar to Super Mario Land 3D. Watching the trailer, I noticed that the game looked ridiculously similar to the Nintendo DS predecessor, New Super Mario Bros. which was released in 2006. This made me think that if Nintendo actually cared about the Nintendo DS/DSi/DSi XL they could pull it off and release this game for the Nintendo DS. Others such as Super Mario Land 3D or Mario Kart 7, I can at least understand why they'll only release this on the Nintendo 3DS. Graphically, both mentioned games are on a whole new level compared to the Nintendo DS whereas with New Super Mario Bros. 2, they seem similar. Currently, the only thing us DS/DSi/DSi XL users can look forward to is the new Professor Layton games and Pokémon Black/White Version 2. Other than that the Nintendo DS series is nothing but the past. What do you think about this? Do you agree? Do you think Nintendo should at least put more effort into the Nintendo DSi? Do you think they should attempt to release NSMB.2 on the Nintendo DS too? The whole point is to have the DS through DSiXL systems die out, replacing with the 3DS. As with any successor to a console or handheld (Maybe excluding PS2 and PSP in Japan) the company wants all focus on the new hardware, making games better, while also earning more money as everyone buys the new stuff. It's how the market has been, and while support usually happens, it's not to be depended on. You still have Pokemon White 2/Black 2, which in actuality was debated why it was put on the regular DS. People thought it would have been smarter to put on the 3DS. It's fine to want this support, but being upset by the lack of it is somewhat unreasonable considering the circumstances. Also, just to nitpick, your point about NSMB 2 looking like the first graphically: compare the two. The first looks quite jagged in comparison. There is quite a difference, the art style kind of blurs that though unless you look at both games side by side. Overall, with many people wanting Nintendo to support their new system as a first priority, I'd say that they made the right choice here. Apologies for the novel. I understand some users may not have time. I expressed my thoughts for some that may. That's irrelevant, to be honest. It's plain and simple that Nintendo simply do not care about DS users when it still has a lot of potential. The 3DS may be new, more up to date and contain more memory but that doesn't mean that Nintendo has to abolish all that ever existed regarding the Nintendo DS. First off, hello and welcome to Nintendo Life. Second, what a weird question to ask... anyway, this is more down to the fact that Nintendo want to support their new console as much as possible, even if it means leaving the owners of the DS systems behind, that's just what happens, you can't do anything about it. Not to mention when a new system is released you have to expect that support for the previous console will decrease.
. It's plain and simple that Nintendo simply do not care about DS users when it still has a lot of potential. The 3DS may be new, more up to date and contain more memory but that doesn't mean that Nintendo has to abolish all that ever existed regarding the Nintendo DS. Think about it from a business perspective: When a company releases a superior version of a product that does what the old did, plus more, it makes more sense to put full support behind the new one, leaving the people with the old product to either update or lose support. That's the way the industry has been since, well, basically the beginning. Also, I need to bring up a flaw in your choice of words. 'Abolish'? You're getting cut off from new experiences. The things already out or that you already own won't be taken from you. In order to buy and play the new games, you buy and play the new systems. DS has already a big library of games and there are many good ones also. I have a 3DS but I only have 3 retail games for it and I'm mostly buying DS games as there are much more good games I need for DS that for 3DS. They have to stop making games for DS at some point of time. I'm pretty sure you don't have all the good games for DS yet so go and buy them first then you can upgrade to 3DS after you have those games and then you can enjoy NSMB2. At least for me it is like this: Better game > Newer game. I understand that you want New Super Mario Bros. 2 for your DS but you can't do anything to change the fact that it's coming exclusively on 3DS. There are plenty of "huge" releases comming for you DS, DS lite, DSi, DSi XL owners. 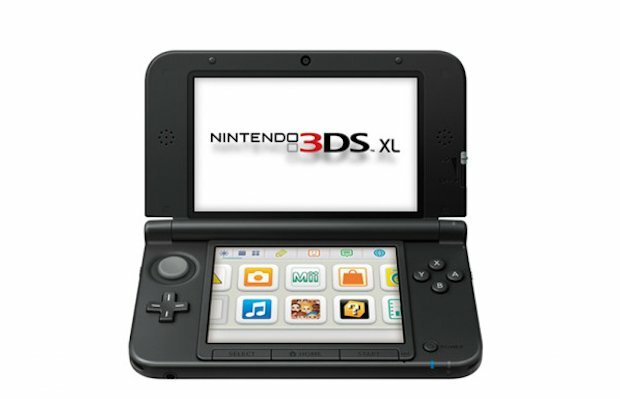 You can always trade in your DSi XL for a 3DS XL in August. All your old games will still work and you'll be able to play all the new ones as well. I got a 3DS on day 1. I'm upgrading to the XL. Guys, his post wasn't that long. It was just his honest thoughts on the matter. Most NL articles are longer than his post, yet people savor every word of them. Stop trying to make him feel like he wrote too much. Did you have this problem when other games like StarFox, Ocarina of Time, Mario Kart 7 and 3D Land were released? Thanks for all of the replies, people. Would also like to thank you for at least reading my 'book of a post', as quoted by @Red_Kinetic. I appreciate it. I've read what you've all said and I'm starting to understand more about why they'd leave us behind. It does make sense. Had I have not gotten my Nintendo DSi XL, I would've been playing my 3DS at this moment. I feel, even now, it's too early to switch over to the Nintendo 3DS having only owned the Nintendo DSi XL for a short period of time. Also, thanks @TysonQ7. I felt somewhat stupid for making my post lengthy. I couldn't possibly own both. I'd find myself using the 3DS more, rendering the poor DSi XL useless. The DS is at the end of it's life span, plain and simple. The last 3 things that a current DS user has got to look forward to is Pokemon, Pokemon, and more Pokemon (Conquest, Black 2, and White 2, there is no new Professor Layton coming out on the DS). This is the part at which people begin moving on from the DS to 3DS and what better way than to release NSMB2 for the 3DS. Now it is time for the 3DS to shine. But hey don't worry the DS has a awesome library of games you should be content with its library for quite so time. I own both a 3DS and a DSiXL, as the 3DS makes DS games look blurry and less sharp. However, the 3DSXL does fix this problem, so I would recommend trading in your DSiXL for it like I am. If trading in XL doesn't net you much towards the new system, you could also just try plain out selling them. Yup. Just trade in your XL, plop down the difference, and there you go. You have a shiny new 3DS and you won't be left behind. Besides, the DS has had more than enough time in the spotlight. Time for the 3DS to shine! I guess the large library of games is one thing I can look forward to. Apparently, the 3DS XL is somewhat inferior to the 3DS I heard; it's created with cheap plastics and includes no charger for us in the EU. You can see from here that it just looks cheap, unlike the DSi XL.